The US independent creative culture is vast. With almost 15 million independent American creators in 2016 – and growing – the industry could secure a baseline of $6 billion as a result of their online activities. Musicians, filmmakers, craft enthusiasts, artists, and other creatives are more active than ever. In fact, the creative industry is 4 to 6 times more significant in the USA than it is in the UK and Canada. From independent designers to small rock bands, rely heavily on platforms that are dedicated to supporting the arts, from Patreon, which encourages artists to build up a group of patrons – and followers – against creative advantages – the creative independent can propose a variety of benefits accessible to supporters such as personalized illustrations or access to song before anyone else, for instance–, to Kickstarter, which can help self-sufficient artists to finance a big project such as a film or a music album. The abundance of supportive platforms shows that the creative industry has evolved. The days of a single patron financing a close community of artists are long gone. Nowadays, every Jane and Joe can support creatives by making small donations – sometimes as low as 1 dollar. It’s the accumulation of digital supporters acting as one patron that enables modern artists to subsidize their careers. As the saying goes, every little bit helps, and no professional sector encompasses the value of unified collaboration better than the creative industry. Unfortunately, with almost 15 million creatives in 2016, it’s fair to say that there isn’t room to support every single professional. Whether you’re a writer, a musician, a filmmaker, or even a craft designer, you need to maximize your online efforts to ensure your professional survival. Ultimately, with millions of creators sharing their work every day all around the planet, your digital presence requires strategy, quality, consistency, and engagement to stand out from the crowd. As a creative professional, you need a portfolio to showcase your work. The old idea of the illustrator walking everywhere with a pile of old drawings under his arms is long dead. You should nowadays walk everywhere with your portfolio available at the click of a mouse – or the touch of a screen as modern tech goes. You can’t be taken seriously by your industry if you’re not able to show your previous work – or current. But more importantly, at an age where business cards are old-fashioned and frowned upon for their environmental impact, you can find your voice in the online world without becoming a threat to the wildlife. As the green interest is spreading across industry sectors, professionals who can share their ethos through ethical means have a better chance of building a fanbase. Additionally, your website lets you affirm your credibility as a professional; not only because you can share your previous work but also because you can create a business front for your activities – which differentiates you from a creative hobbyist. Who says online presence, says online visibility? Ultimately, you can’t expect your potential patrons and clients to stumble across your website by accident. You need to create a presence that is not only competitive but also easy to find. In other words, you need to maximize the use of relevant keywords to capture your audience when they are looking for services similar to yours. Indeed, you can’t expect your creative business name to be sufficient to attract new clients. Your keyword research plays a significant role in building market presence. Indeed, the right keywords for your profession are those used by your audience; consequently, your first step in standing out from the crowd has to focus on identifying the best keywords for your website. Tools such as Google keyword planner – which is entirely free – combined with SEO book keyword density can help you to pick the best terms. However, it’s fair to say that your choice of keywords is only one of the many factors that can boost your online presence. Technical considerations related to the structure and speed of the website can also affect your presence. If you suspect your website lags behind on something technical, the best advice is to get a technical SEO audit from an SEO Consultant, you can get that service here https://davidcarralon.com/audits Most typical issues refers to page errors, such as 404s, or something more complex that can impact your site indexation. As a creative, you need to think of your website as a window shop. Not only does it serve as a portfolio, but it also provides your audience with insights into your personality, your values, your interests, and your goals. Your website isn’t just an online place where you can display both your branded logo and your past work; it’s an introduction to your world for new visitors – and potential clients. How do you best figure out your identity? To get to the bottom of it, the best way to put your online personality to the test is to compare side by side your content with your competitors’ content. Can you figure out which is yours and which isn’t? A distinctive voice and tone are crucial to assert who you are and encourage your audience to follow you over competitors. Similarly, your creative work also needs to support your personal vision and value. Nobody is interested in working with creatives who share an almost identical portfolio – if not identical, nondifferentiable work is just as harmful to your career. 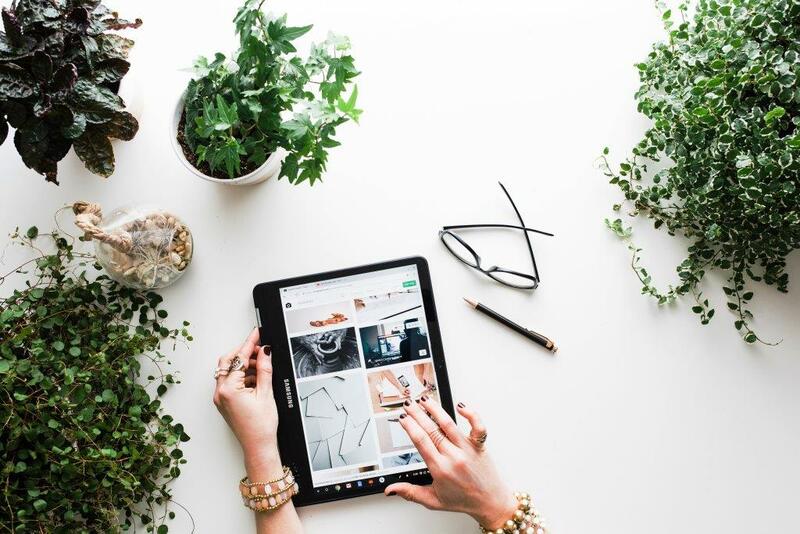 When you think of your website as an online portfolio and brand identity, your social media presence serves as a catalyst to attract new followers and potential patrons and clients. However, with millions of creatives online, you need to build your social media profile and campaigns with differentiation in mind. How do you make sure you can get noticed? You can learn effective tips and strategies from successful businesses that have redesigned the rules of social media, such as here https://catalystforbusiness.com/4-businesses-killed-social-media/. Timely posts that tie in with current events and seasons are a favorite. Take a look at Whole Foods social media profile; their Thanksgiving campaign encourages users to turn their leftovers into organic turkey nachos, for instance, making them always relevant. Westjet airlines tried a positive campaign to make the world a better place by performing and uploading mini feel-good miracles, which resulted in over 2 billion media impressions. Can you imagine a more successful brand awareness campaign? You may not achieve the same results, but the lesson is: Being different is what will get you noticed. Selling and promoting your art can be difficult, especially if you try to use your website as a platform to approach the creative market. In fact, numerous creative platforms enable artists to promote their creations in a targeted niche. YouTube, for example, is ideal for visual artists to showcase their work, and musicians to promote a gig. Etsy, on the other hand, is the platform of choice for craft artists. Whether you focus your painting skills on personalizing canvas shoes or you build wooden birdhouses, Etsy receives over 25 million shoppers for 1.6 million sellers. More importantly, the platform encourages sellers to offer creative products that buyers can’t find anywhere else, providing an outlet for your creativity. The secret to growing your creative business is to secure your spot on the most relevant platform. Of course, this doesn’t go without competition, but your choice of listing keywords, your professional display and offering and your willingness to be part of the platform community can make the difference between a profitable presence and an invisible shop. As a creative artist, your personality and inspiration are as much a part of your work as your creations. In fact, more and more independent creatives use videos to build an authentic insight into their way of thinking and working. As a result, they can touch users and establish an emotional bond that is both deep and meaningful. You can show where your creativity comes from, such as Kirby Ferguson, a writer, and filmmaker who explained the principles of remixing and copying in creativity. Tina Seelig, a Stanford professor, choose to give a crash course in creative personalities, reminding everyone what it means to create and think differently. Sharing your own authenticity is about providing your audience with a new way of understanding your work. Creative individuals don’t need to build an isolated environment to do their best work. There is no such thing as a solitary genius. Collaborations are what give creatives their inspiration, support, and outreach. For modern creatives, for instance, social media platforms provide the best environment for collaboration as each artist can approach a new audience group in the process. If Jane and John choose to work together, Jane can reach out to John’s audience and John to Jane’s. Friends and patrons can also share your online portfolio and mention your latest work. In conclusion, creatives can’t ignore the role of their online presence. From understanding the basics of SEO competition to stand out from the crowd to building up a supportive network through collaboration and authentic creations, the digital sphere is the realm where independent creatives can thrive together.